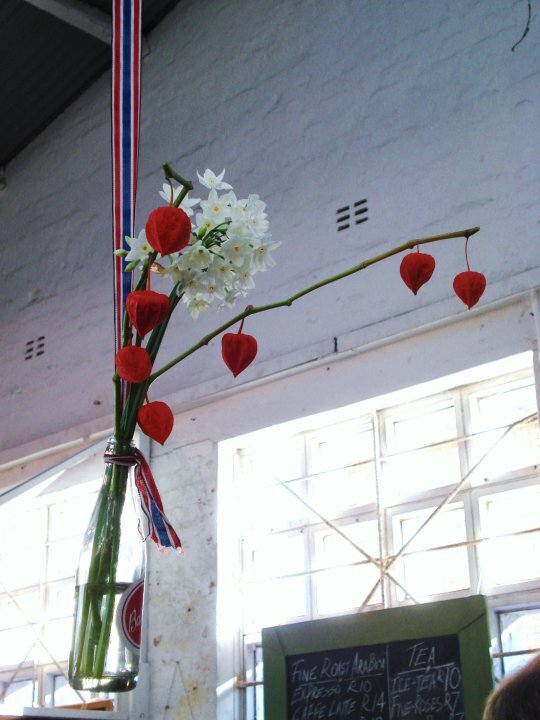 A couple of months ago I spent a weekend in Johannesburg to celebrate my friend Kate’s thirtieth birthday. Knowing me well, she suggested that we have lunch at the newish Neighbourgoods Market in Braamfontein, a neighbourhood which has been included in Joburg’s inner city improvement district scheme. 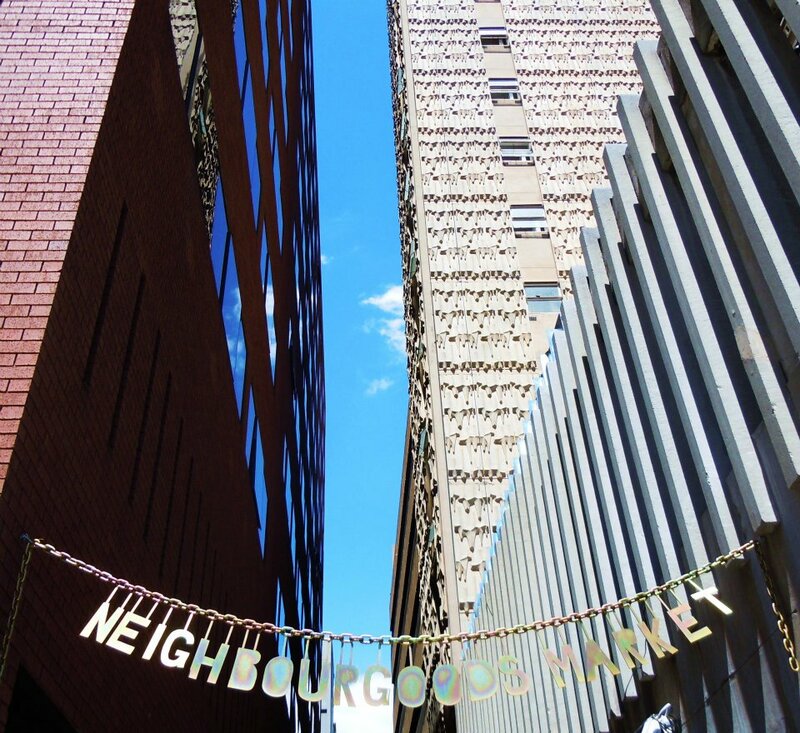 Alongside 70 Juta, a small row of shops (one, inevitably, devoted to lomography), galleries, and cafes, the Neighbourgoods Market is part of a wider effort to attract people – and particularly those with disposable income – back into the city’s centre. The decline of the Joburg CBD since mid-90s has been well documented: the flight of businesses to suburbs like Sandton and developments such as Melrose Arch means that the old city centre has changed beyond recognition. Buildings are derelict and crumbling, and crime is a significant problem. To my shame, I don’t know Joburg terribly well, even though I enjoy visiting it enormously. What struck me was not that the city centre has ‘died’, but, rather, that it is vibrantly alive, albeit – with the abundance of cheap Chinese shops, fast food joints, and street stalls – not in ways we would usually define a bustling, ‘healthy’ CBD. The point is that something needs to be done to bring businesses back to central Johannesburg, crime and grime must to be brought under control, and the city’s amazing mid-century architecture should be restored. The Neighbourgoods Market is in the parking lot of the most incredible brutalist skyscraper, the façade of which was designed by Eduardo Villa. Open on Saturday mornings, it brings people in to an area which would be otherwise deserted – and dangerous – on weekends. I really, really enjoyed it: the food was great and, as is usually the case in Joburg, both punters and stall holders were fantastically friendly. In fact, I liked it rather more than the original Neighbourgoods Market in Cape Town. 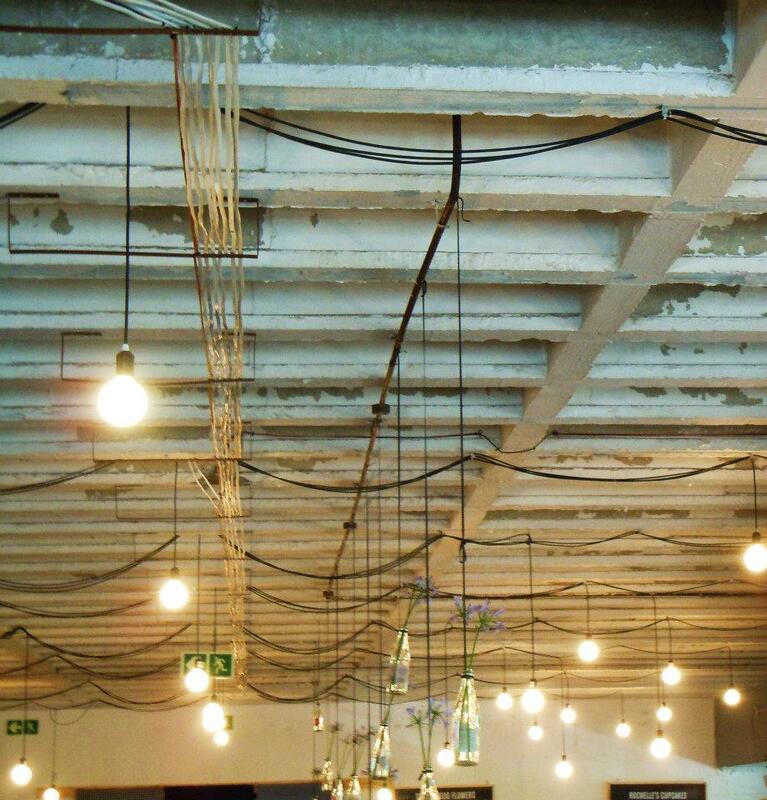 Established for similar reasons as the Joburg incarnation, the Market in Cape Town is located in a newish redevelopment of an old biscuit mill in the traditionally working- and lower middle-class suburb of Woodstock – although this area is now achingly cool, having been dubbed ‘Cape Town’s Manhattan’ by the New York Times. The more gentrified sections of Woodstock are now awash with vintage stores, bicycle shops, and Michelle Obama-attracting organic lunch cafes. Particularly on the main road, it’s all beginning to look like a set for a Wes Anderson movie. There’s been a fair amount of debate about the gentrification of Woodstock, and much as I find the Neighbourgoods Market unpleasantly overcrowded and many of the people it attracts deeply annoying, I am less unsettled by its effects on the suburb than the wholesale transformation of the Bo-Kaap, near the centre of Cape Town, where a very poor group of people – many of them descendants of slaves – have slowly been evicted from their picturesque, brightly-painted cottages by landlords keen to attract yuppies in their massive Chelsea tractors. The debates we’re having in Cape Town about gentrification are by no means particular to South Africa. In New York last year, my friend Geoff commented that he found the new-found coolness of Brooklyn’s Williamsburg – a working-class suburb once dominated by Orthodox Jews – baffling. 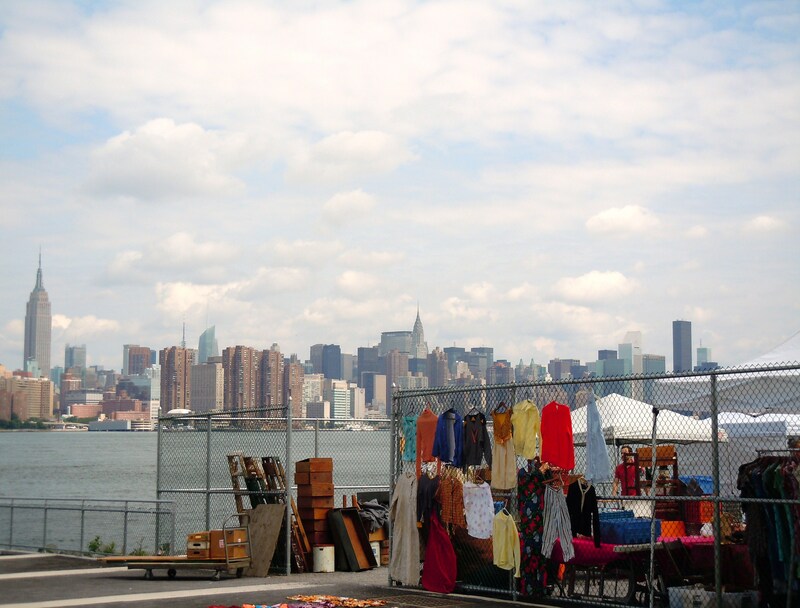 I went to the Williamsburg Flea, a market selling food, craft, and an assortment of handmade and vintage clothes and furniture. My friends and I enjoyed it enormously – as much as we did exploring Bedford Avenue – but I could understand the original inhabitants’ unhappiness at how much this hipster invasion has changed the neighbourhood. 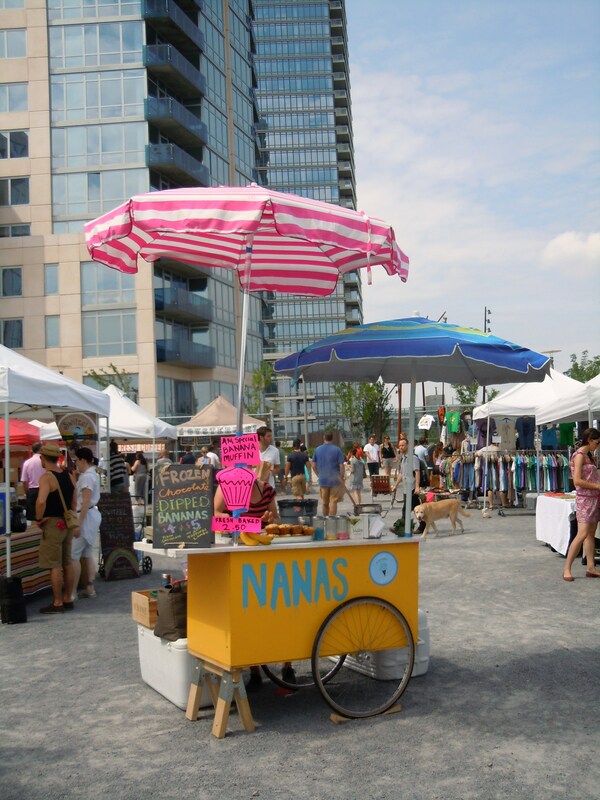 The point about the Neighbourgoods Market and the Williamsburg Flea is that they both attract people who are either new to those suburbs, or who don’t live there at all: they’re not aimed at the existing communities. (They’re too expensive, to begin with.) 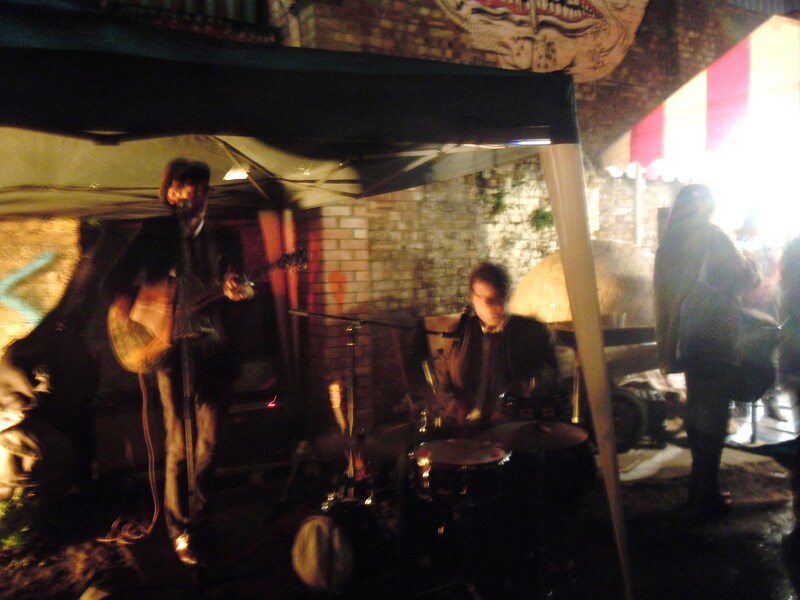 At a hipster night market in Dalston in December – it sold food, not hipsters because that would be illegal – I stood for a half an hour in a queue, risking hypothermia to buy supper at a food market in a covered parking lot near the Dalston Kingsland overground station. Dalston has followed on from Islington, Shoreditch, and Stoke Newington as being the favoured spot for not-particularly-wealthy lefties looking for somewhere cheap and central to stay. It’s in Hackney, one of the poorest boroughs in Britain, and not overwhelmingly picturesque, but it’s now overrun with hipsters and Guardian-reading lefties (I count myself as one of these, obviously, I mean obviously). 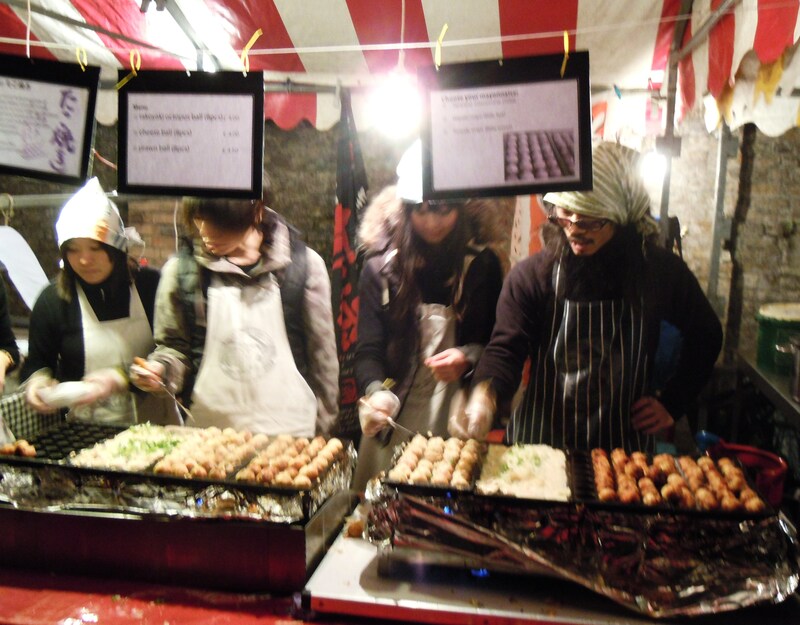 I didn’t see any members of Dalston’s original community at the night market – which included a stall run by Moro. Markets, cafes, and restaurants increase footfall in cities. I had breakfast at the newly-opened Clarke’s in the Cape Town CBD yesterday morning (it was fantastic – go), and was struck by how busy the area was: aside from the tourist traps around Greenmarket Square (not a green market) and Long Street, the CBD used to be deserted over weekends. Now, though, Capetonians are flocking to Jason’s, Skinny Legs & All and other places. The city feels safe, and alive again. The Cape Town Partnership, which has driven much of this renewal, has recognised the power of coffee shops in attracting pedestrians into the city. At the furthest extreme, there is the urban farming which is seeking to transform Detroit, a city brought to the edge of collapse by bad urban planning and, more recently, the 2008 recession. But Detroit is a deeply unusual case. 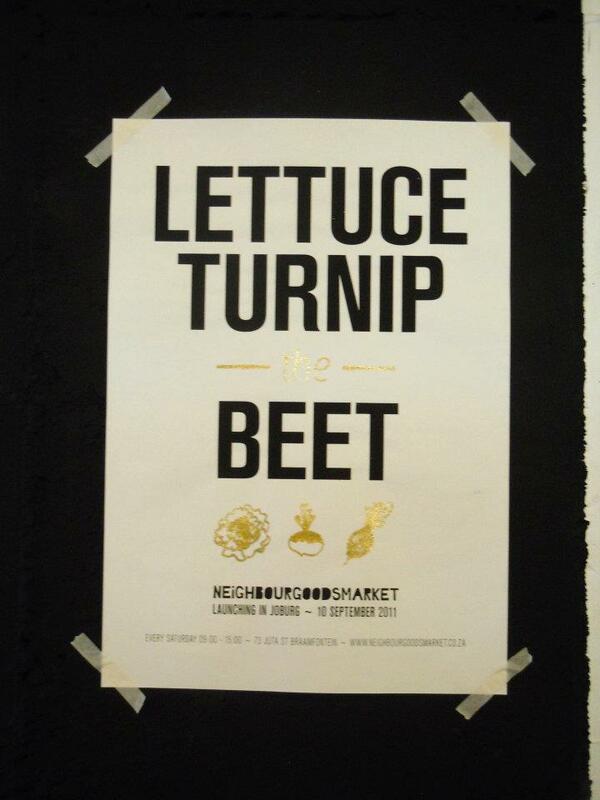 What’s happening in Braamfontein, Woodstock, Williamsburg, Dalston, and elsewhere is part of a trend which began in the 1990s: the connection between the, then, new-found enthusiasm for whole, ‘real’ food brought into city markets by farmers and small producers, and the regeneration and gentrification of poor or decayed urban districts. Visiting the Union Square farmers’ market now, it’s difficult to imagine that Union Square used to be extremely dangerous. These are markets for the middle classes, and it’s easy to criticise them for not doing more to integrate wealthy newcomers and less well-off original inhabitants – which is why, I think, the Joburg Neighbourgoods Market is a potentially less awkward experience than the Woodstock version. There aren’t very many people actually living in Braamfontein. But I’m interested in the continuing success of these markets – and they’ve proliferated – in a time of economic downturn. They’re sustained by gentrification, but why their continuing success during times of financial insecurity? 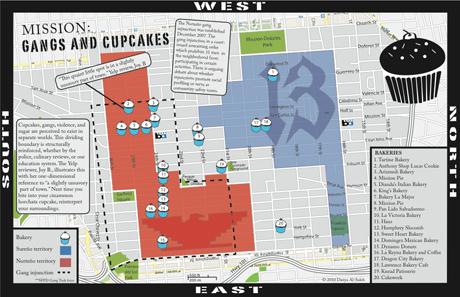 Will they continue to flourish as the tide of gentrification begins to recede? Are they sustainable? 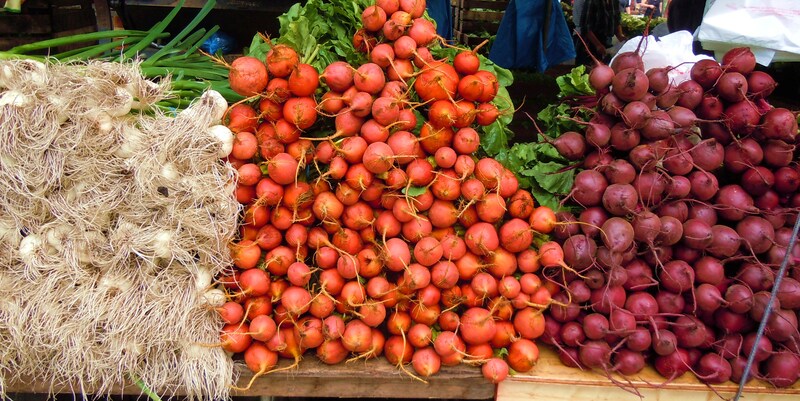 As sales of organic vegetables in supermarkets have plummeted during the recession, there are more food and farmers’ markets than ever before. Last week’s coverage of Tesco’s extraordinarily bad performance over Christmas in the UK referred to the fact that part of the business’s problem is that it hasn’t responded adequately to changing patterns in consumer culture. As one article noted, people are relying increasingly on the internet for basic food shopping because it’s convenient and also allows them to compare deals and prices more efficiently. Shoppers are savvier in the recession. was not sure Tesco needed any more of the sprawling out-of-town Extra stores it has spent so long battling planners to build – and that were vital in its conquest of Britain’s retail sector in the 1990s. He didn’t want to go as far as to label its more than 200 out-of-town hypermarkets as ‘white elephants’ but said they were now a ‘less potent force’ as electricals and clothing sales shifted online. I think we can account partly for farmers’ markets’ continued success in similar ways. Even if very few people can afford to do a weekly shop at them, many will buy small luxuries to perk up meals in a time of financial insecurity: nice chunks of unusual cheese, proper bread, and handmade sausages. I wonder, though, if this change in shopping patterns indicates a fundamental shift in the functioning of consumerism – and in attitudes towards food.